Liverpool's Manager Jurgen Klopp must utilize his forwards much more than he has been doing so far this Season. Yes Mané and Firmino played quite well but we have two quality International strikers on the bench in Sturridge and Origi and when things are not going well on the pitch, you start them both in the next game, they will score goals for Liverpool and win games for Liverpool when we play them. Also, it was obvious that Firmino, Mané and Coutinho were suffering from the exertions of playing two competitive games in South America and one in Senegal whilst Daniel Sturridge and Origi hardly had a workout with their Countries, Sturridge with a goal against Scotland then dropped for the Spanish match. The point is, if you have a squad full of talent then you need to rotate them now and then otherwise things become stale and predictable and forwards soon become disenchanted. Honestly, I am now worried with Klopp's approach, despite him being a great. We desperately need good rotation to keep legs fresh but he has just suddenly sidelined Sturridge and Origi who both did the team well last season. This is the English league, not Bundesliga. What wrong have they done. Depending on the same legs to press teams and do international duty will not win us the league. This is sad. I love Klopp but I am beginning to think that he will exhibit the same arrogance that Rodgers did. 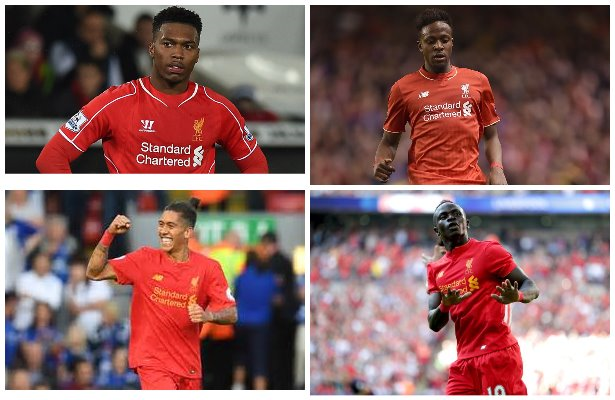 What LFC needs is simple; rotate the talented squad fairly. Courtino, Fermino and Mane were tired. We had Sturridge and Origi who are far from being bad players. They will fail to perform when we need them most because they will be rusty. All we needed in that Southampton game was one goal. Just one goal. These are the winnable games we will look back on and regret that we never took them when they were there for the taking. My confidence in winning the league has now waned because of this poor handling of players.